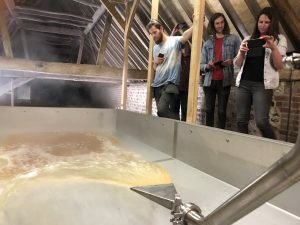 Last Thursday, we started what we believe to be a truly exciting project with friends from Mills Brewing, Olivers Cider and The Kernel, all of whom make exemplary mixed fermentation beers/ natural ciders. The initial seeds for this project were sown in November 2017 (although thoughts of a similar project go back much further), with an idea starting to germinate in January 2018. 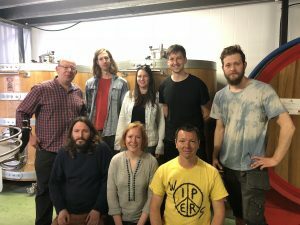 Rather than just make a beer together, the project is that we brew a beer – then everyone has a portion to which they add their own specific mixed fermentation culture to. 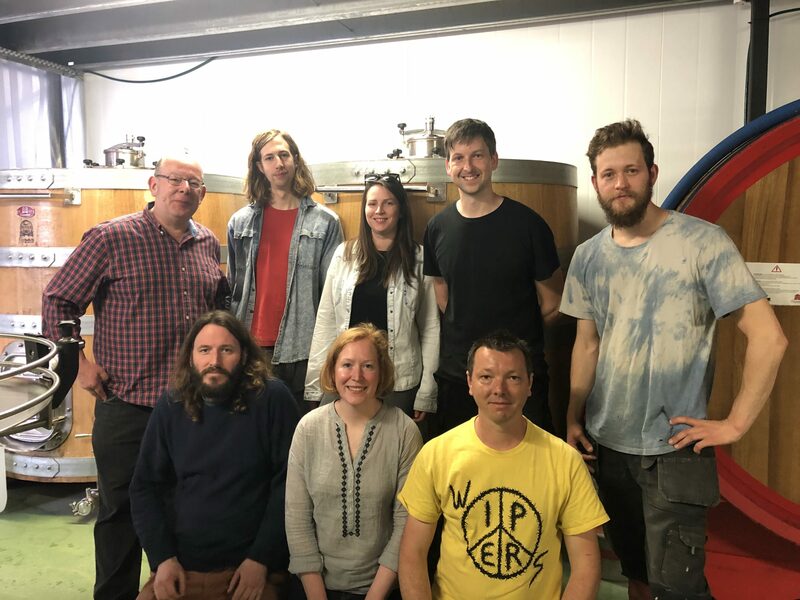 Thursday 19th April sees Tom (Oliver’s Cider), Jonny and Gen (Mills Brewing), Tanya and Ben (The Kernel), arrive at the brewery to kick proceedings off. We had previously decided on a grain bill of Pilsner malt, flaked wheat, unmalted wheat and torrefied oats. 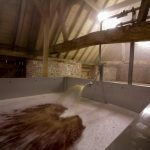 A turbid mash schedule was chosen – this will give the yeasts complex sugars to eat over a lengthy fermentation. As the resulting gummy wort collected in the copper, we added aged hops – these will give little aroma or bitterness, instead the antiseptic qualities are what we want to help preserve the wort on it’s long journey ahead. After an extended boil, the hot wort was sent over to our coolship for initial innoculation over night. Although we have had an unprecedented spike in temperatures this week, the barn in which we house the coolship is north facing, so it never gets the sun. Temperatures at night are still dropping to 8 degrees celsius added to which the cool sea breeze whistles up the gap in the South Downs, through the vents giving us a wort temperature the next morning of 21 degrees celsius. The beer was then transferred to a holding tank overnight to give a good mix prior to being dropped into everyone’s barrels. The barrels have been dosed with the respective mixed cultures, so the waiting game is now on. It’s going to be a fascinating journey as we see how the beer develops and the differences between the different cultures and barrels. When we are happy with the results, everyone will reconvene for a tasting and blending session. 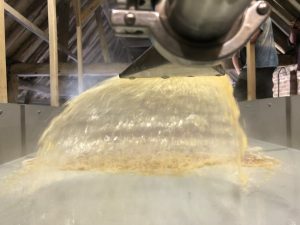 The plan at the moment is to bottle small amounts of ‘mono-blend’ of each brewery’s iteration – this will highlight the different flavours achieved, with the bulk of it blended. When will it be ready? Only time will tell.